I have been featuring a lot of great and unique gifts this week for your mothers for Mother's Day. But maybe she wants classy, beautiful and traditional...like a beautiful bouquet of flowers! 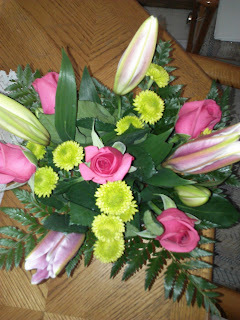 Then let me recommend the beautiful Garden Terrace Bouquet that I received from FTD for Mother's Day. When I opened it, it took my breath away! The Garden Terrace™ Bouquet by FTD® boasts beautiful roses and Asiatic lilies to design a vivid display of nature's most brilliant hues. Bright pink roses are brought together with light pink Asiatic lilies perfectly accented with green button poms and lush greens to create an incredible flower bouquet. 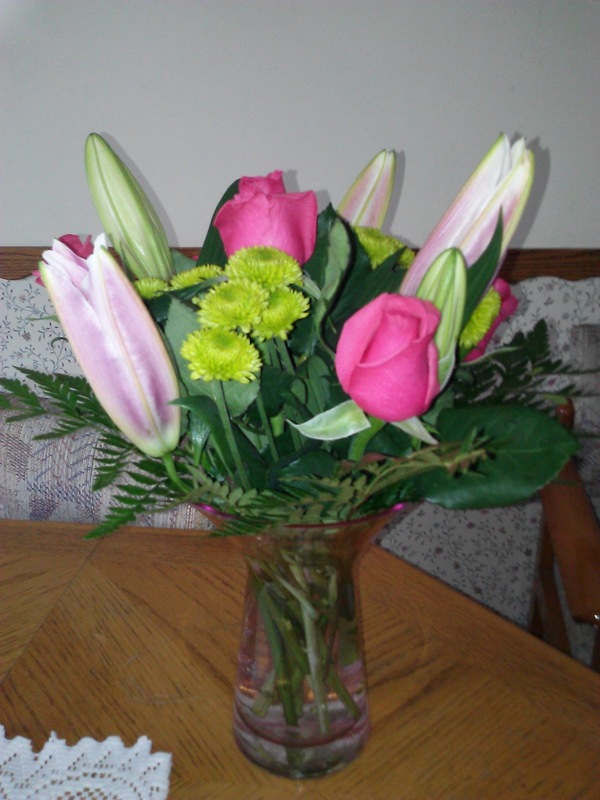 Gorgeously arranged in a designer pink glass vase, this flower arrangement exudes a fresh look and charming cheer to make it an ideal gift for Mother's Day, Easter, to celebrate an anniversary or birthday, or just to say "I love you". 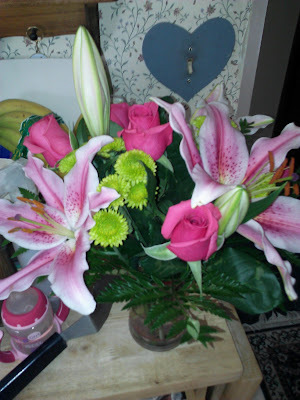 This bouquet came with the lilies not yet bloomed so I could have the beautiful job of watching them open in all their glory! This was a beautiful mix of flowers and it would be a beautiful gift to a beautiful mother this Mother's Day! Buy It: You can purchase the Garden Terrace Bouquet starting at $49.99 from FTD.com. Very lovely flower arrangement. Any mother would love to receive this.